New to the market is this wonderful semidetached property in the much sought after Liósmor estate on the immediate western outskirts of Galway city. It is excellently located within walking distance of many local amenities including sporting clubs, parks, shopping centres, and local schools. With a regular bus service on the doorstep, it is just a short commute from NUIG, UHG, Salthill, and Galway city centre, and enjoys the added benefit of being adjacent to both Cappagh Park and Barna Woods. Extending to approximately 175sq m, this beautifully finished property is in walk-in condition and includes many extra features, such as solid oak floors, a porcelain tiled hallway, a fully converted attic with stairs, and a beautiful sun room with double doors to the private rear garden. Ground floor accommodation includes an entrance hall, living room, kitchen/dining room, sun room, and utility room. On the first floor there are four bedrooms, with the master bedroom boasting a walk-in closet, a main bathroom, and the stairs to the second floor which hosts the fully converted attic space. 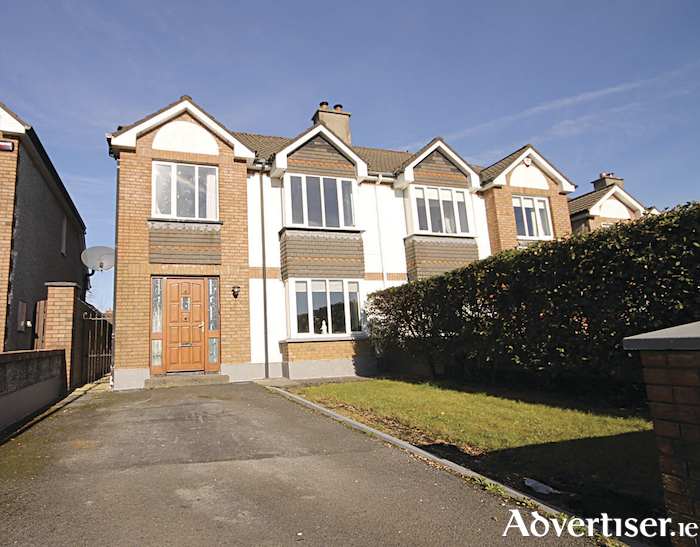 Selling agent Fergal Leonard MIPAV TRV MMCEPI said: “This is a super family home in one of the more sought after residential developments in this area, ideally located within walking distance of many local amenities and schools and within a short bus journey of Galway city centre. Guiding with a price of €300,000, viewings of No 68 Liósmor may be arranged by contacting any of the residential sales team at DNG Maxwell, Heaslip & Leonard on 091 565261.